On July 21 MIE had the opportunity to share its vision for a state-wide school accountability and assistance system with more than 150 nonprofit, district and state leaders at The Rennie Center’s Shaping the Future of Accountability event. The Rennie Center asked nine organizations to present a poster detailing plans with actionable strategies that adhere to state and federal regulations. 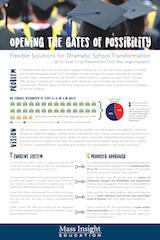 Our poster’s proposed system was based on the fact that only schools designated Level 4 or 5 are eligible to make changes and access resources for dramatic transformation. However, almost half of Level 3 schools perform as poorly as Level 4 and 5 schools and are therefore failing their students due to a scarcity of vital supports. In 2015, 280 Massachusetts schools were labeled Level 3—121 schools, or 43%, of all Level 3 schools are in the bottom 10th percentile of schools in the state, representing more than 71,000 students. This leaves too many Level 3 schools on a trajectory to fail their students. Our proposed system broadens the eligibility criteria for schools to collectively bargain, extends school improvement plan time, and allows schools and districts to pool resources and money into zones. Under this vision, chronically underperforming schools are given the flexibilities and support they need for sustained improvement before failing, disrupting the pipeline to chronic underperformance and allowing all students to have access to a high-quality education. After a 30-minute poster gallery walk and remarks from Education Commissioner Mitchell Chester and Rob Curtain from the Department of Education, our CEO, Sue Lusi, was one of three organizational leaders selected to present their proposed system based on attendee votes. The two other presentations were Jonathan Rappaport of Arts|Learning who represented a collaborative team with EdVestors and MASSCreative, and two Boston Public School students who also represented a joint effort between Boston Student Advisory Council and Youth on Board. Rappaport discussed an accountability system that included measures of arts education participation. The BPS students discussed the need to expand assessment models and indicators to meet the needs of all learning styles. 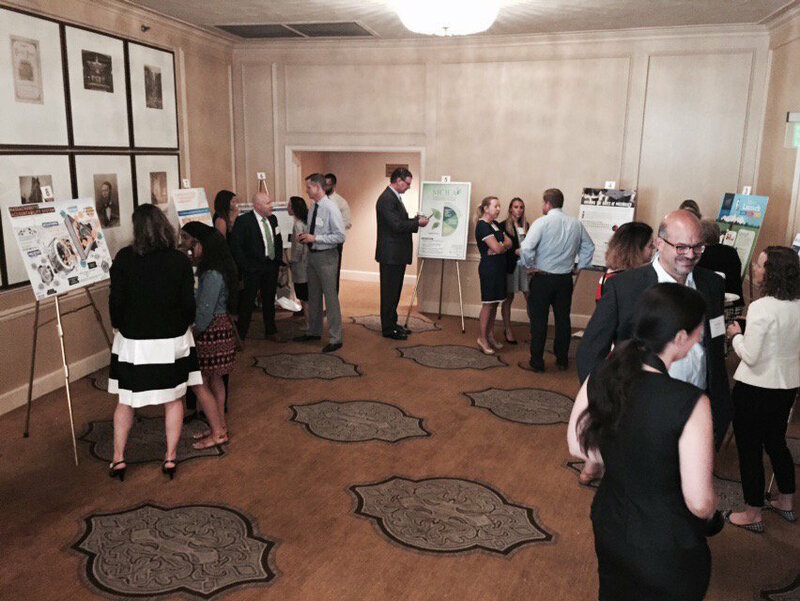 The presentations sparked an important discussion about the future of accountability in Massachusetts, one that we hope continues (See all of the posters here).